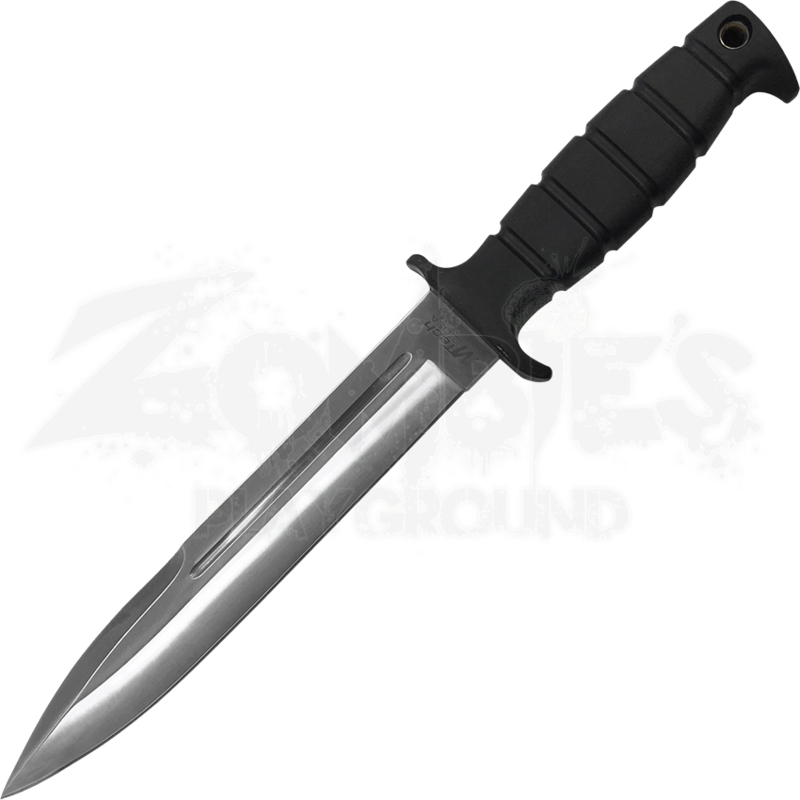 A useful knife for any outdoor need, the Spear Point Combat Knife will undoubtedly become one of your favorite tactical survival tools. Great for hunting, camping, and fishing, this knife is lightweight and functional in its design. 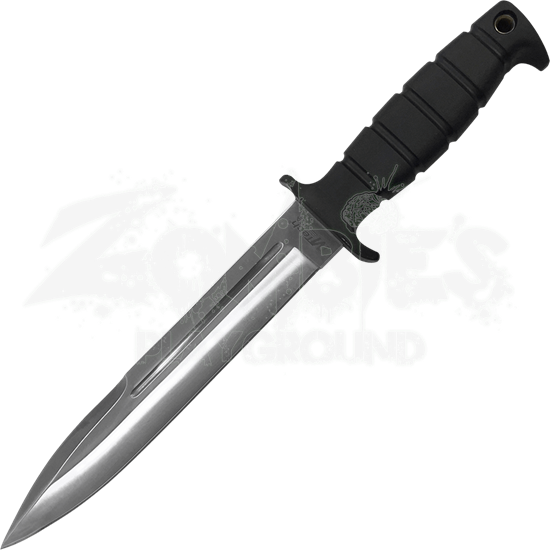 Crafted from stainless steel, the blade of this knife is durable to last through your rough and tumble jobs. A deep fuller in the steel helps to lighten the blade, while its shape is ideal for cutting and piercing. The rubberized handle makes for a comfortable and resistant grip, and the guard helps to stabilize the knife as you use it. With a nylon sheath included, the Spear Point Combat Knife will stay protected until you are ready to use it on your next outdoor adventure.